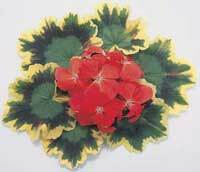 My favorite geraniums are the “Fancy-leaved” zonals, particularly those of authentic Victorian descent, like ‘Mrs. 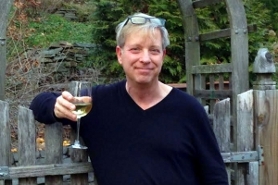 Henry Cox,’ pictured above. Richly attired in green, gray, silver, gold, yellow, white, cream or red, these pelargoniums are dressed to kill. The Fancy-leaveds are variously classified. Victorian tri-colors include ‘Miss Burdett Coutts’ (1860), with leaves of purple, rose and green; ‘Happy Thought Red’ (1876), with gold, rust and green leaves; ‘Mrs. Pollock’ (1858), another gold-zoned leaf (see above); and my beloved, ‘Mrs. Henry Cox’ (1879), with a green heart, bronze zone and a creamy-yellow edge. I am also fond of the green-and-white bi-colors, such as ‘Flower of Spring,’ ‘Mrs. Parker,’ and ‘Frank Headley’ (above). These three have sparkling white edges that appear as silver against the gray-green leaves. 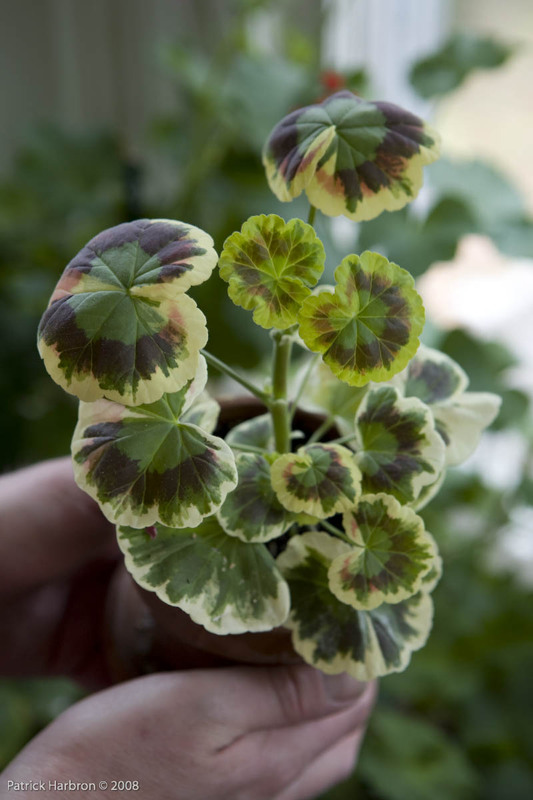 Culture: Variegated geraniums require slightly more care than the green-leaved zonals. Indeed, the more spectacular the foliage, the weaker the plant usually is; yet it is those of strongest hue that appeal most. 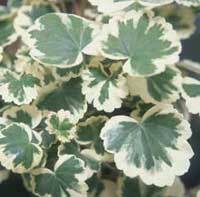 The Fancy-leaveds require sunshine to bring out the vivid variegation, but not full sun in summer. Morning sun and afternoon shade is the perfect combination. New growth has the deepest coloration, so you want to encourage its formation with frequent pinching to induce branching. Use a commercial potting mix, or your own blend of equal parts garden soil and leaf mold (both of these pasteurized) and sand. An unglazed clay pot is essential. I fertilize mine with a low-nitrogen, high-phosphorus plant food; this seems to keep growth coming along without producing too much green on the leaves. Water when the surface soil not only looks dry, but feels dry, as well. Propagation is via stem cuttings. For me, the Fancy-leaveds are plants for the window garden in winter, and the east-facing terrace in summer. They are not hardy here in the Northeast. If you wish to treat them as annuals, go ahead and plant them in the open ground. They are edging-plants without equal for a Victorian flower border. Speaking of flowers, these geraniums do produce them, but usually in rather strident shades of orange or vermillion. I know at least one gardener who cuts the buds off the moment they appear. Brilliant foliage, not flowers, is the decorative purpose of the colored-leaved zonals. England produces the largest number of Fancy-leaved geraniums, and in colors that must be seen to be believed. I tried to order some of these spectacular creations from a UK grower, but he told me he can’t ship them to America. Why? Because the United States Department of Agriculture forbids it. Yes, the UK is free to ship plants to all countries, excluding the one I live in. Just typing these words makes my blood boil. Fortunately there is one dealer in America who offers a number of Fancy-leaved geraniums for mail-order purchase: Hobbs Farm & Greenery. Please show them some love, and encourage them to further increase their inventory of these fine plants that have lately become scarce. Are you a fan of the fancy-leaveds too? I think mail order is the way to go, at least for serious gardeners who want more than the pedestrian inventories of Home Depot and Walmart. Donna – I love ‘Skies of Italy’ too. Very colorful. 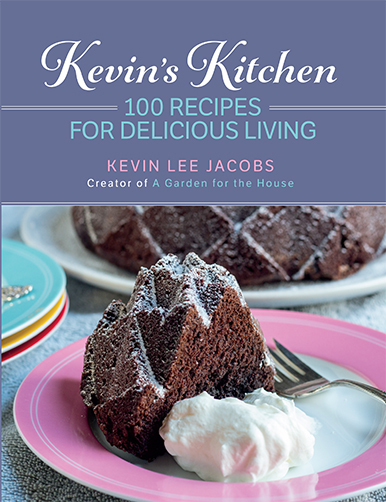 Justin – I find that I’m ordering more and more from catalogs. If I need something right away, however, I usually visit one of the small, independent gardening centers in my area. I have Wm. Languth, Mrs Henry Cox, apple blossom rosebud, Crystal Palace and I am looking for Mrs Parker. I grow these for close-up enjoyment on the deck and in windows for winter enjoyment. Heirloom Geraniums are difficult to find and I have to resort to mail ordering. I’ve belonged to garden clubs, but nobody I met was interested in Victorian Era pelargoniums.